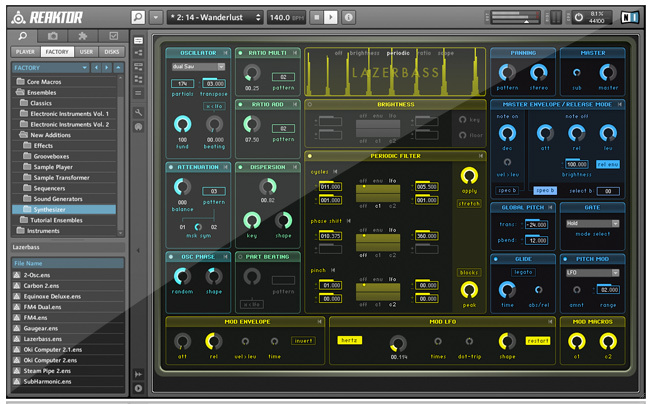 REAKTOR opens a universe of sound. It's a deep and powerful modular studio that sets no restrictions on creativity. More than 70 unique synthesizers, sound generators, grooveboxes, sequencers and effects are at your fingertips, with 3000+ more freely available in the Online User Library. Customize existing instruments, or create your own individual sound generator from scratch thanks to the fully modular architecture. REAKTOR 5.6 is a true playground for the creative mind.